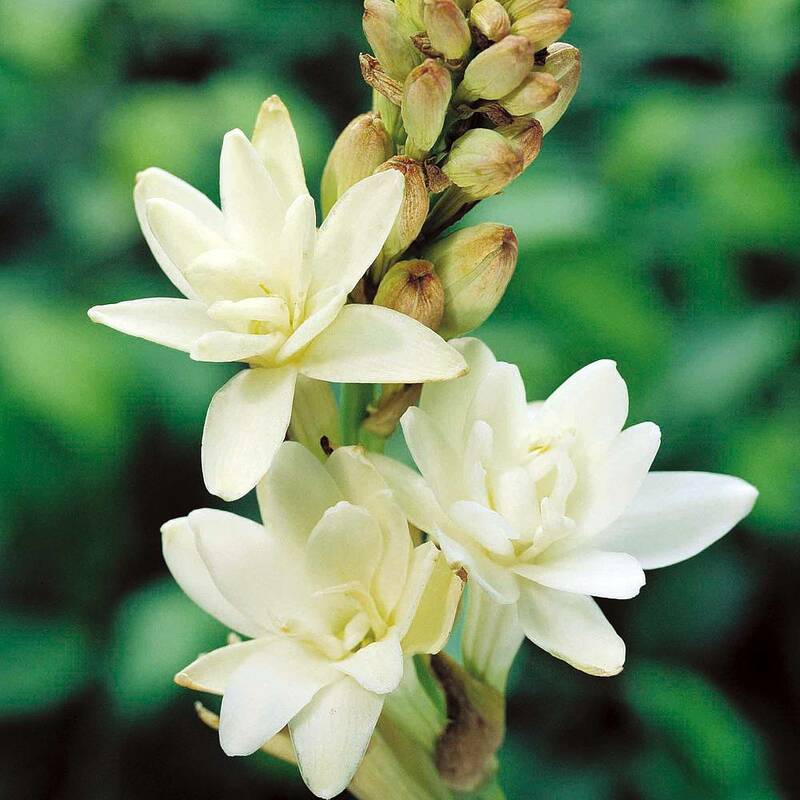 Polianthes Tuberosa (Tuberose) is a half hardy, deciduous, tuberous perennial native to Mexico. It’s main attraction is it’s glorious scent. The essence of the flowers is used to produce some of the world’s finest perfumes. It is reputed to be the most scented bulb of all. The delicious scent is strongest in the evenings. 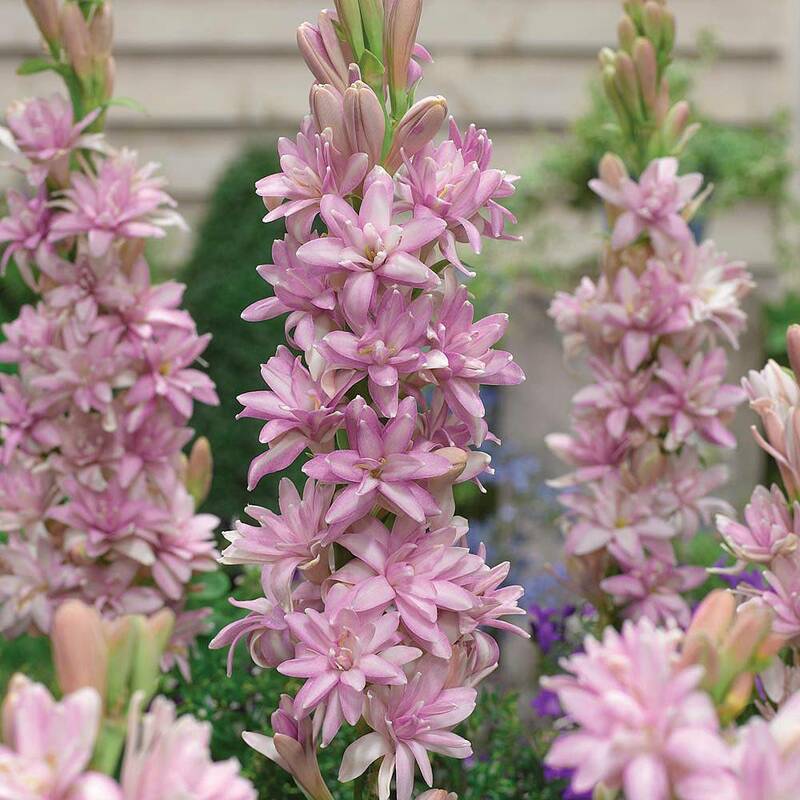 Erect spikes of beautiful, waxy flowers arise from tufts of strap shaped leaves, to a height of 2-4ft or 60-120cm. The flowers appear in late summer in our U.K climate. They make an outstanding cut flower. Unfortunately they are not hardy in the U.K climate and must be started off in containers in a heated greenhouse or conservatory. Spring is the best time for planting. They require a minimum temperature of 15C (59F). They should be potted into containers of a loam based compost such as John Innes No1 at a depth of around 4in or 10cm and placed in a light position. They should be watered when the compost has dried out, through the growing season and fed with a liquid feed every couple of weeks. The containers can then be moved into the garden in the summer months once all risk of frost has passed. Alternatively they can be taken out of the container and planted in borders. Only in extremely mild and sheltered areas of the U.K should you risk leaving the bulbs in the border in winter. It is best for them to be stored undercover. At the end of the season when the leaves begin to die down, the watering should be reduced. When dormant the tubers can be stored in peat or sand and kept dry and frost free throughout the winter period. 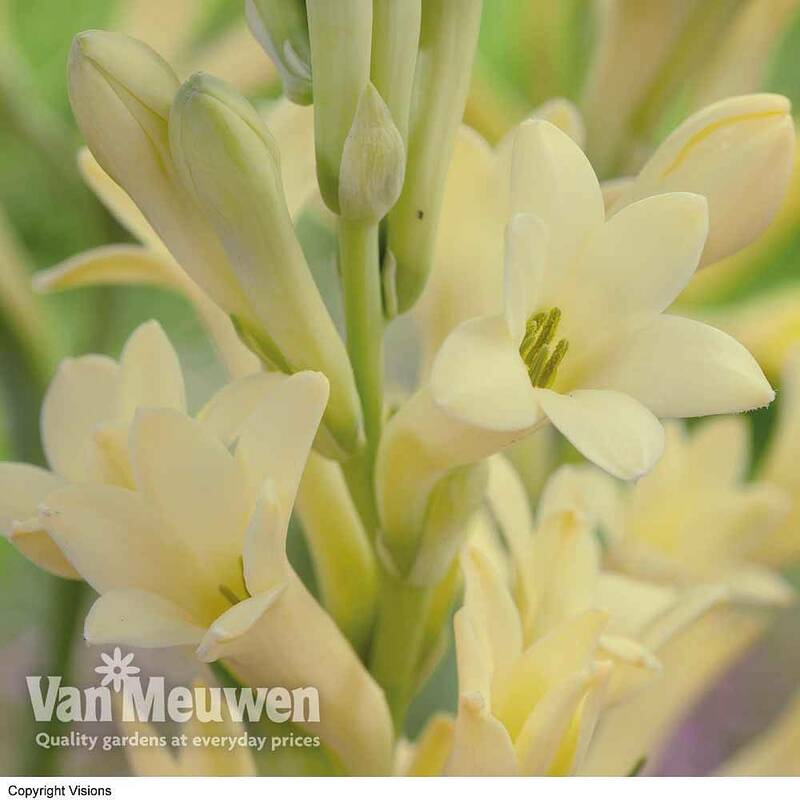 If you are a fan of a scented plant, Polianthes are sure to delight and I cannot recommend them highly enough. Although, because of their lack of hardiness, they require a little more effort to grow, you will be rewarded with magnificent plants. All images copyright Van Meuwen unless otherwise stated.